Heinz is adding a little kick to its ketchup. Heinz is adding a little kick to its ketchup. 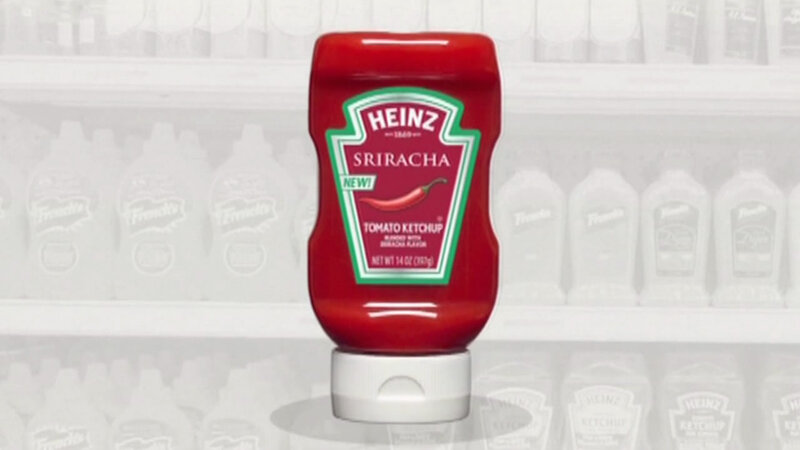 How does Sriracha-flavored tomato ketchup sound? The company says it'll taste exactly like it sounds -- ketchup that's spicy. Heinz is known for its "57 Varieties" slogan, but the new flavor isn't the 58th variety. Sriracha, of course, is the hot chili sauce that traces its origins back to Thailand.